Looking for a place to eat with your kids? 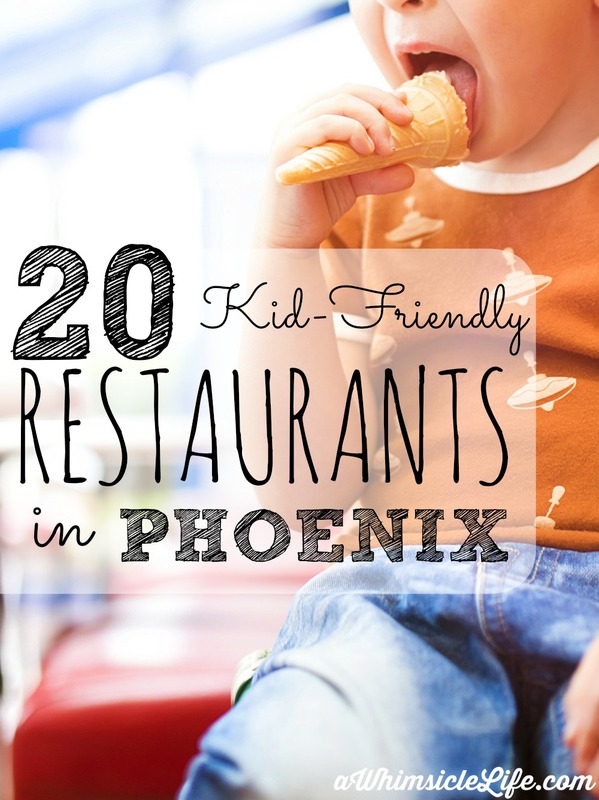 These kid friendly restaurants in Phoenix all quarantee a good time! You know the drill. You want a meal out. Delicious food, amazing ambience.. possibly wine. Slight snag… you have kids. While you love them to pieces, you do not want to go to McDonalds and drink a diet coke while watching them in playland. However, happy kids at a meal means a peaceful meal time. What to do? I have you covered. These fun family restaurants are my favorite places to go in the East Valley that also cater to kids. My family and I frequent most of these places and have an amazing time! American Girl Bistro – One of my daughter’s favorite places. Don’t worry if your daughter doesn’t own an American Girl doll. The restuarant will let you borrow one for your visit. Hangar Cafe – Eat eggs and pancakes while watching planes take off at the Chandler airport. Grab a seat on the patio which is located mere feet from the tarmac. Oregano’s – Mmmm… one mention of that pizza cookie will have me running here. However, this pizza place is also known for it’s creative pies (Hello Puerto Penasco Carne Street Pie!) and unbelievable salads. For kids, they serve pizza by the slice and give your little ones a ball of pizza dough to play with while you wait for your order. The Coffee Shop – I’m just going to let this picture speak for itself. If only I could have cupcakes for breakfast because these @thecoffeeshopaz look amazing! Joe’s Real BBQ – I’m not really a barbecue fan, but I love the pulled pork here! Take a seat at the picnic benches outside and let kids run wild in the grass area after they finish their meal. There are also free Joe’s BBQ paper hats at the register. BLD – This restaurant is a very adult place, but they welcome kids with open arms. Kids get a kids menu and wiki sticks to play with as they wait for their food. Many times, the server will bring the kids’ food out first as well. Every parent knows, nothing complicates a meal more than a long wait time and a “hangry” child. The Perch(around lunch time) – This is a mostly outdoor eatery in downtown Chandler. What makes it unique is the large variety of parrots and other birds on display outside. The kids will be massively entertained for hours. The Perch has more of a bar atmosphere at night, so make sure to go earlier in the day. 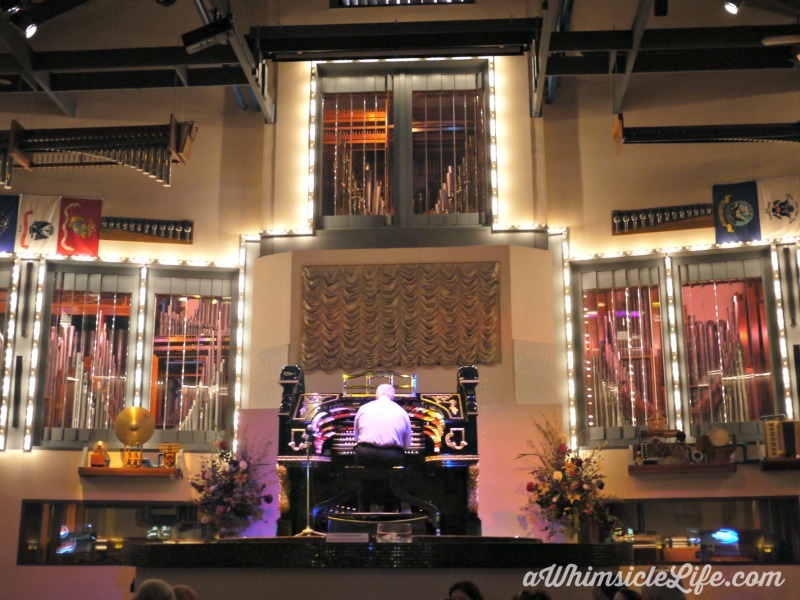 Organ Stop Pizza – When you go to Organ Stop, you are in for a show. The restaurant’s centerpiece is a massive Wurlitzer Theater Organ. Not only will the organist take requests, but the music is accompanied by puppet performances and bubbles raining down from the ceiling. This place is only open for dinner and the line tends to snake out the door. Get there at opening time. Rigatonys – One dish here makes my daughter beg to return to Rigatony’s: The kid’s macaroni and cheese. My gosh, it is unbelievable! However, it is only available on the kid’s menu. I sneak little bites from my daughter all the time. The rest of the Rigatony’s menu is amazing as well. Postino Wine Cafe (Brunch) – Yes, Postinos is a wine bar. However, they offer brunch on the weekends which is very family friendly as well as delicious. The Gilbert location features a large lawn with lawn games. Let the kids eat french toast and run off some weekend energy. Fired Pie – A wood fired pie baked fresh to order. The salads are spectacular as well. I always go for the Field Greens and Roasted Veggies or the Spicy Southwest. My daughter and son like their pie with just cheese. They also serve beer and wine. IN-N-OUT – I know I said No McDonalds for this list.. but In N Out is different. All of the fries are cut in house from fresh potatoes. The shakes are made from real ice cream and the burgers are amazing. Plus, they offer kids sticker packs to play with while waiting for the food as well as making a mean Grilled cheese (off the secret menu). Pita Jungle – One of my all time favorite family places because they offer a healthy kids meal. Kids select a protein, grain and veggie for a well-balanced meal. Plus, I’m a big fan of devouring the hummus there. Chompies – One of our favorite breakfast places! Our kids love the yogurt and my son likes to share my plate of scrambled eggs. Plus, kids get a cookie at the end of the meal. Biscuits Cafe – Also, amazing for breakfast. The biscuits live up to the name. They are also served with a side of strawberry jams packed with chunks of real strawberries. Rustler’s Rooste – The view of the city alone makes this a spectacular dinner option. Plus, they have an indoor slide for the kids! If you plan on going more than once, look into to getting a Slide Rider membership. It cost’s $6 but it allows kids to eat free off the kids menu for a year with an accompanying adult. Barros Pizza – Grab some pizza and a beer while the kids play at a play kitchen (Warner & Kyrene) location or watch cartoons on the kid-positioned TV. The Old Spaghetti Factory – Even though this is a chain, its wonderful for both adults and kids. I love the spaghetti plus ordering a glass of wine with my entree. Also, a life size cable car replica sits in the middle of the dining room. Get there early and grab one of the tables inside. P. Croissant – My mouth is watering talking about this place. They serve filled croissants that are buttery, flaky and have luscious fillings like chocolate, strawberry jam or Dulce de Leche. If my daughter gets a croissant here, she is happy for the entire breakfast. Which is a lot for a six-year old. Sozo Coffeehouse – Coffee and a playroom! No, really! This Chandler coffeehouse features a playroom in back with everything from building blocks to dolls, a play kitchen, trucks and even a glider for those nursing mamas. Don’t forget to try some of the monster cookies they have as well. They are baked fresh locally. 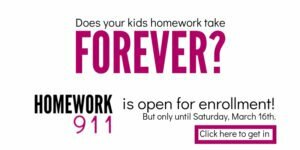 Dickey’s BBQ Pit – Kids eat free on Sundays and free ice cream every day! Joe’s Crab Shack – A jungle gym for the kiddos! Carrabas – Angel’s family likes to sit at the pasta bar! Salad and Go – In the East Valley. Recommended by Amanda. Do you have a birthday coming up? 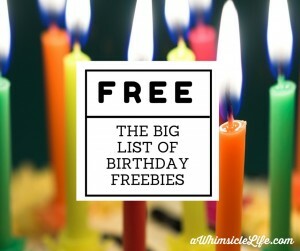 Make sure to check out the list! Love all these ideas! Can’t wait to explore them with my family! Thank you!